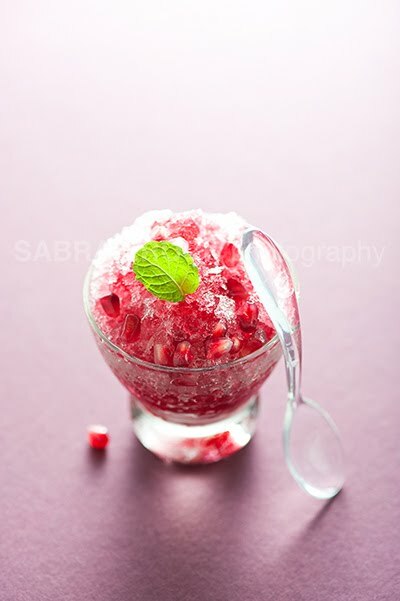 Very refreshing Sabra...and stunning looking too! Sounds like a fabulous, refreshing dessert. I love the photograph...where did you find such a cool spoon? You should win for sure! I love the seeds; the color would stop you on the street. here's the sag paneer recipe you requested. Everybody seems to be tempting me by blogging about this pretty fruit. Sadly it is not available to me. I have to make do with the gorgeous pics.